Hill Auction Gallery is pleased to announce another exciting sale May 25th. We want to express our heartfelt thanks to all bidders both in-house and around the globe who helped make our inaugural auction the talk of the industry in South Florida. We are eager to repeat the success from or first sale by acquiring a superb and varied collection.This sale is comprised of items curated over a lifetime of global travel from a distinguished Hollywood socialite. This collection represents the culmination of a lifetime of expertly acquired objets d’art. The collector spent years combing through auction catalogs searching for pieces to add to her ever growing collection. We are honored to offer these items up for sale. Our May 25th auction is filled with great lots that have created the most discussion and excitement among members of our team. 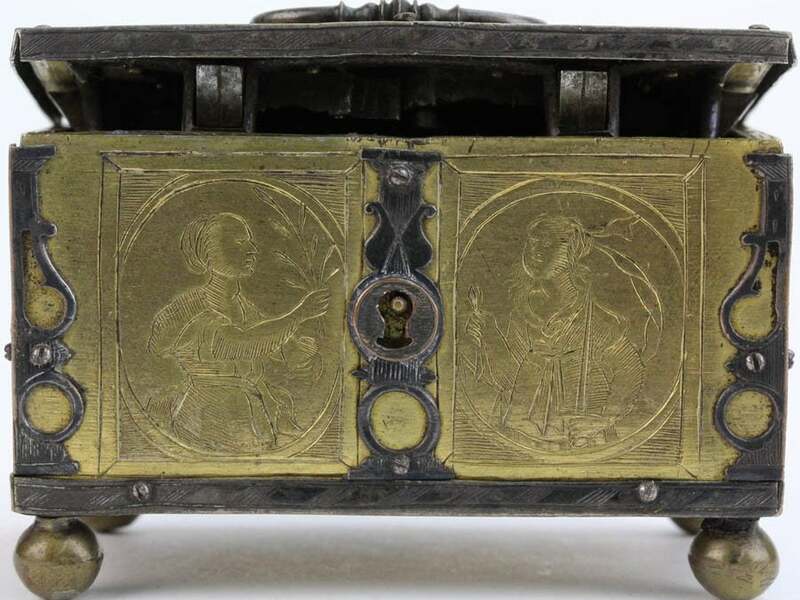 A 17th century miniature casket by famous artisan Michel Mann (Lot #12), has been admired by all members of the team. 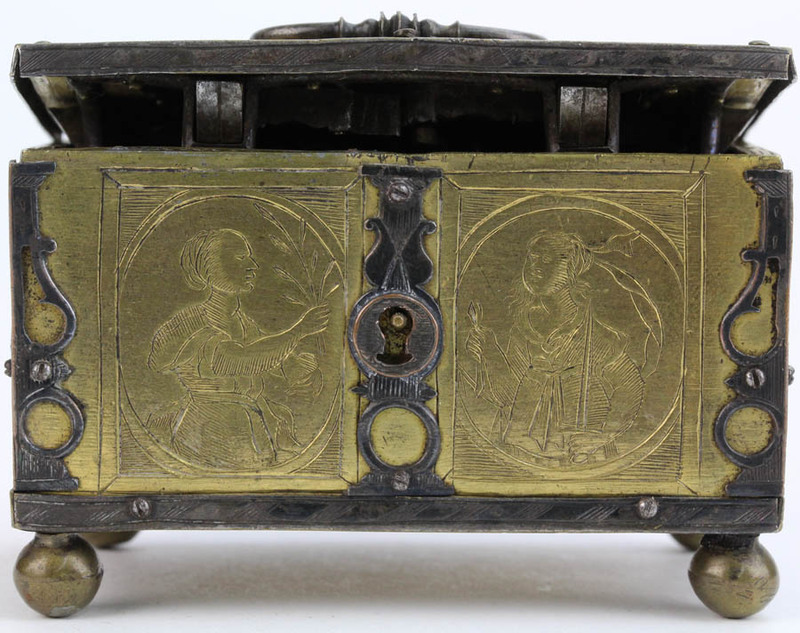 This 400 year old box has an intriguing feature. The keyhole, which can be observed on the front of the casket, is only there to fool any potential pilferer from gaining access to the box. The real key hole is cleverly hidden behind a sliding hinged panel. Just as interesting is the level of skill and engineering required to design and then handcraft the necessary components that make up the closure mechanism. If that wasn’t enough, the box has multiple brass panels each featuring different motifs expertly engraved into the metal. We are excited to offer a unique set of Moser glass. These Moser cameo cut and intaglio engraved glasses feature a rich green that has been cut to clear. The collection, offered in six lots, features a great variety of engraved motifs including trees and foliage, as well as birds, deer, bears and even hunting scenes. A collection of this size has not been seen on the market in over 30 years. 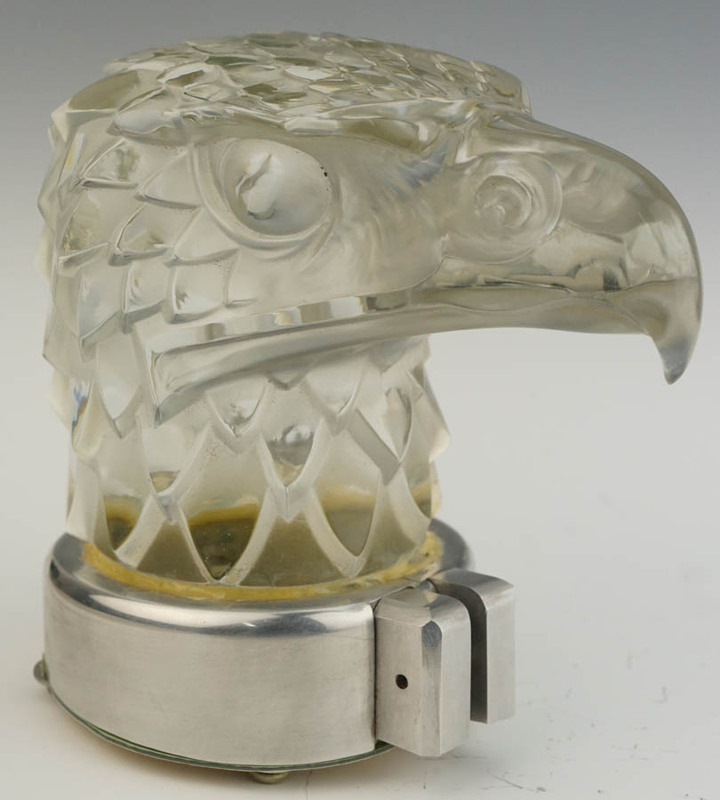 Finally, there has been much excitement surrounding the R. Lalique Tete D’Aigle eagle hood ornament first introduced in 1928. Some of the most unique and intriguing art glass items created by Rene Lalique were his hood mascots. 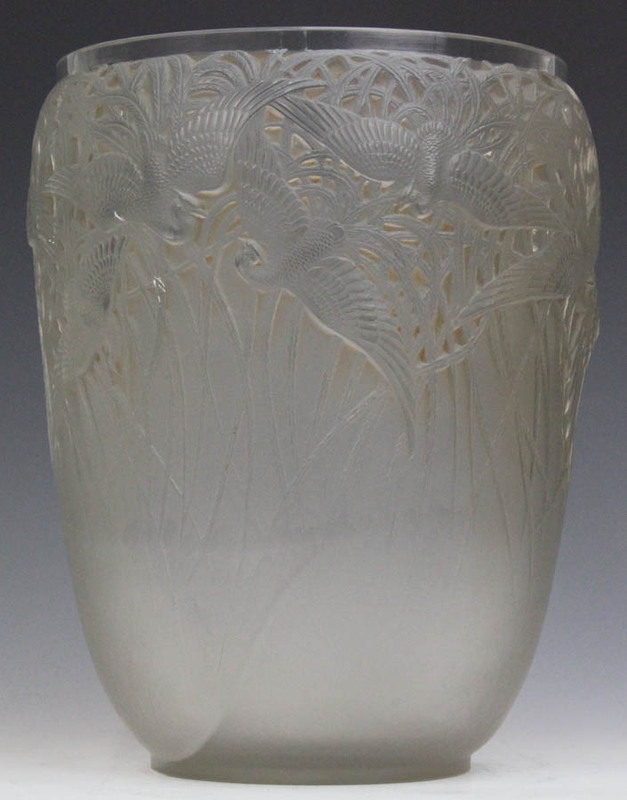 Many highly esteemed car makers such as Mercedes Benz, Bentley and Rolls Royce featured Lalique’s glass mascots.